If you have a child in college or heading to college soon, be sure to check out this fun promotion from Target! 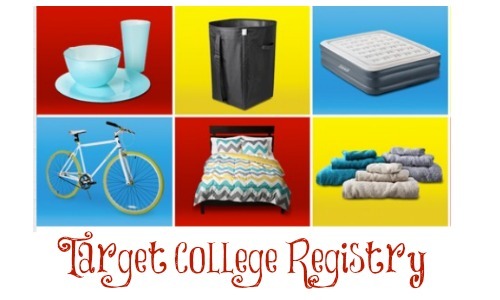 You can get a FREE $20 gift card when you add $500 to a new college registry! Your registry needs to have 15 or more items on it and you can do your registry in-store or online. This is a limited time offer and the first 10,000 people nationwide to finish the registry will qualify, so go ahead and make yours before it’s too late. If you are one of the first 10,000, the gift card will be sent to you by mail. You might not have heard of a college registry, but it’s a great way to let friends and family know what you are hoping to get and it helps keep track of all the items!